We have made our mark as Manufacturer, Supplier and Exporter of Lily Absolute Oil in Uttar Pradesh, India. The Longoza Absolute Oil that we make available is well-prepared from the flowers of Hedychium flavum & Hedychium coronaria. Our Lily Absolute Oil has wonderfully clear floral with spicy & fruit undertones. 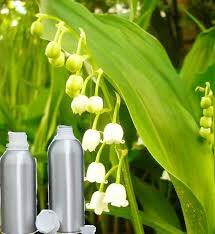 As a result of which it is extensively used in perfumery industry when blended with other essential oils. One can obtain our Lily Absolute Oil at nominal rates.